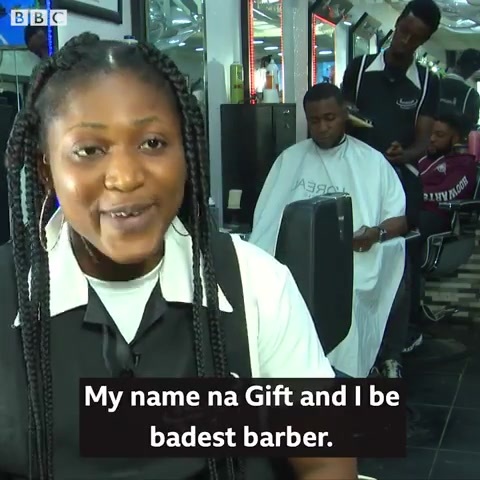 That's the story of Gift, who began to take an interest in cutting hair while working as a cleaner to raise money for her tertiary education. She'd go to the barber's shop after work to observe and learn how it's being done. In a year and half, she's learned the job well enough.